Kira Bailey, assistant professor of psychology and neuroscience, along with Jun Jiang and Xiao Xiao, published “Midfrontal theta and posterior parietal alpha band oscillations support conflict resolution in a masked affective priming task” in Frontiers in Human Neuroscience. She also gave two workshops on the neuroscience of memory at SourcePoint, a community center in Delaware, Ohio, for adults 55 and older. Jeremy Baskes, director of the OWU Global Studies Institute and Latin American studies major and professor of history, published “The Economy of New Spain” in Oxford Encyclopedia of Mexican History and Culture (Oxford University Press, forthcoming). “The Economy of New Spain” was also published in the online Oxford Research Encyclopedia of Latin American History. His article “La producción y el comercio del tinte de la grana cochinilla en Oaxaca, México de 1750 a 1821” accompanied an exhibit called “Rojo mexicano. La grana cochinilla en el arte” at the Mexico City Museum of Fine Arts in 2018. See all of this year’s lectures at owu.edu/i3. Andrew Busch ’07, assistant professor of health and human kinetics, presented at the sixth annual National Strength and Conditioning Association international conference in Madrid in September. He focused on the cumulative stresses a throwing shoulder must withstand and emphasized the importance of screening athletes to identify those at a higher risk for injury. He also discussed the best corrective strategies for improving shoulder function and thus reducing the risk of injuries. Ji Young Choi, associate professor of politics and government, director of East Asian studies, and affiliate professor of international studies, published “The Rise of East Asian Economies, Globalization, and State Policies” in The Global Studies Journal (Vol. 11, Issue 2) in 2018. He was interviewed on the radio program Voice of America on the prospect of the U.S.-North Korea Summit in June, and following the summit on All Sides with Ann Fisher on WOSU-FM. Additionally, he presented “North-South Dynamics and Inter-Korean Rapprochement” at a workshop hosted by the Bureau of Research and Intelligence, U.S. Department of State, in Washington on Aug. 23. Mary Anne Lewis Cusato, assistant professor of French and Francophone studies, published “From Tahar Djaout’s ‘No’ to Mustapha Benfodil’s ‘Enough!’: Two Moments of Revolutionary Aesthetics in Contemporary Algerian Literature and Cultural Activism” in Expressions maghrébines (Vol. 17, No. 1). Cusato has also received two grants to support an upper-level course in French on the topic of immigration. She received a Great Lakes Colleges Association grant to support collaboration between her own class and a class on African art taught by Nancy Demerdash-Fatemi at Albion College in Michigan. Together, students are tackling questions about the stakes of cultural representation and debunking myths about African culture. Cusato also was awarded a grant from the Digital Projects Initiative of the Five Colleges of Ohio to support the collection and recording of oral histories from French-speaking immigrants in central Ohio. These oral histories will be available to historians, sociologists, and others who wish to learn about immigration through the voices of those who have experienced it directly. Rich Edwards, associate professor of music, along with Scott Edgar, Kimberly Councill, Edward Hoffman, and Amy Spears, published “How Did I End Up Here? The Realities of Teaching Music Education at Small Colleges and Universities” in Visions of Research in Music Education. Gerald Goldstein, professor of microbiology, along with Sarah Bergman ’18, Marielle Buss ’20, Hanna Cordes ’20, Mary Cranley ’18, Nicolas Reed ’18, and Malory Wolfe ’19, published “Coriander seed extract enhances the yield of T2 bacteriophage in E. coli by stimulating adenylate cyclase” in Research & Reviews: A Journal of Biotechnology (Vol. 8, Issue 2, 2018). Juan Armando Rojas Joo, chief diversity officer and professor of Spanish, published two books in 2018: Posmodernidad y multiforma en la obra de dos poetas mexicanos contemporáneos: Alberto Blanco y Coral Bracho (Madrid: Editorial Pliegos), and De caña de maíz y miel: 12 haikus de Ohio / On Cornstalks and Honey: 12 Ohio Haiku, edited by Paula Lambert and translated to English by Jennifer Rathbun (Full/Crescent Press, 2018). He also published the article “Advocating for a Diversity and Inclusion Commitment at Liberal Arts Colleges: Essential Conversations in the Role of the Chief Diversity Officer” in Campus Diversity Triumphs (Diversity in Higher Education, Vol. 20, Sherwood Thompson ed., Emerald Publishing Limited). Sean Kay, professor of politics and government, was mentioned in the October Politico article “Bernie Sanders Is Quietly Remaking the Democrats’ Foreign Policy in His Own Image.” Kay, along with Dan Nexon of Georgetown University, coordinated informal foreign policy for Sanders’ 2016 presidential campaign. They assembled a team of more than 50 top advisors to help develop international policy for the campaign and encouraged the hiring of a full-time policy staffer, Bill French of the National Security Network, a now-defunct progressive foreign policy nonprofit. In addition, Kay’s book Rockin’ the Free World: How the Rock & Roll Revolution Changed America and the World was released in paperback on Nov. 30 with a new afterword. Paul Kostyu, associate professor of journalism and chair of the Journalism and Communications Department, was elected as coordinator of Region 4 of the Society of Professional Journalists. This position involves working with professional and student journalists in Ohio, Michigan, West Virginia, and western Pennsylvania, and advising SPJ chapters in the region. 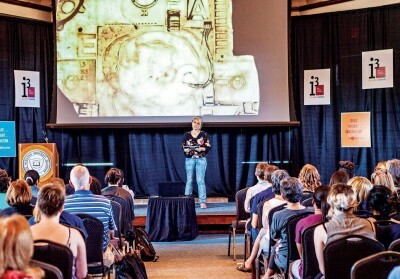 Lynda Hall, associate dean for academic performance and professor of psychology, presented a series of four talks on lifespan maintenance of knowledge at Lakeside Chautauqua in Ohio during the summer. Stephanie Merkel, associate professor of comparative literature, received assistance on her research on Fyodor Dostoevsky’s final novel, The Brothers Karamazov, and the topic of “Mentoring the Teacher: the Friendship of Fyodor Dostoevsky and Vladimir Solovyov and the Genesis of The Brothers Karamazov” from former students Alexander Cook ’16 and Lucas Plazek ’16. The pair traced the summer 1878 journey of Dostoevsky and Solovyov from St. Petersburg to the Optina Pustyn monastery in Kozelsk, Russia, which Dostoevsky undertook to cope with the recent death of his 3-year-old son. In the end, the 25-year old philosopher helped the 58-year old author grapple with the “accursed questions” of human existence in The Brothers Karamazov. Film footage from Cook and Plazek’s journey will be included in a spring 2019 Comparative Literature event, “The Great Ohio Wesleyan Read: The Brothers Karamazov.” In January 2019, the campus community and alumni will be invited to participate in a six-week online reading and discussion of the novel, which has been taught continuously at Ohio Wesleyan for eight decades, including as part of the core Great Books course from 1941 to 1991. Amy McClure, the Rodefer Professor of Education and chair of the Education Department, was selected for membership on the Outstanding International Books award committee. Committee members review books submitted by international publishers and determine those that are of the highest literary and artistic merit. Her appointment is for 2018 to 2020. She was also selected to participate on a panel of literacy experts to revise the standards that guide preparation of prospective teachers in literacy instruction. The work was sponsored by the Ohio Department of Higher Education. Kalenzi Emmanuel Twesigye, Aden S. & Mollie Wollam Benedict Professor of Christian Studies, has published a two- volume academic textbook in religion and ethics entitled Religion and Ethics Today: God’s World and Human Responsibilities (Cognella Academic Publishing, 2019). Both volumes cover critical and controversial issues in contemporary ethics and academic theology and cover a wide range of topics such as the environment and climate change. The books include discussion of Pope Francis’ encyclical “Laudato si” concerning human responsibility to protect the environment. Rashana Perks Smith, assistant professor of theatre and dance, performed her piece “Bear Traps & Other Impressions” at the Wexner Center for the Arts as part of Columbus Dance Alliance’s curated evening of local dance makers. Smith’s piece reconstructs and updates an older work wherein she addresses first and lasting impressions as part of identity. 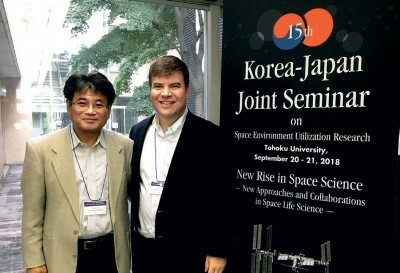 Chris Wolverton, professor of botany/microbiology, gave lectures at the 15th Korea-Japan Joint Seminar on Space Environment Utilization Research and at the annual meeting of the Japanese Society for Biological Sciences in Space, both at Tohoku University in Sendai, Japan. He discussed the preliminary results from his space experiment on plants, which concluded in April 2018 and returned to Earth in May. In addition, in November, his Plant Gravity Perception Team received a 2018 NASA Ames Research Center Honor Award from more than 100 nominations for “exceptional performance in successful completion of a plant biology experiment on board the ISS (International Space Station) while working through major challenges during flight.” Wolverton traveled to the center at Moffett Field, California, in November to accept the honor.